New Feature: "Popular Products." Some of the store's best-sellers. Note my Google Rank for bass clef merchandise! Check out the new Premium Store For Women Old Enough to Know Better - for "seasoned" women and their kids and grandkids. Sudoku has been added to the "Geeks/Nerds" section in "& More" - heads up, my fellow Sudoku fanatics. You can also click on the white "banner" to get there. 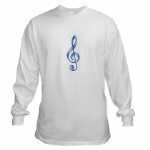 Music Stuff Page - Music Merchandise and other Music Stuff. With the focus on music - just music. (NO "& More.") 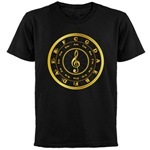 The Music Page's focus is on music merchandise offerings and links to music humor, resources, links, etc. for those who love music, and, especially, for musicians and their fans. This Page is in development and expansion. Expect much more! Find entries from Music Stuff Blog instantly updating in a table on this Music Page. C clef - two versions: traditional basic black, also "silver" "embossed"
"New Orleans Music" - some graphics with text, all with tuba, trombone, trumpet and sax - all in festive Mardi Gras colors: purple, blue-green, gold. This is about appreciation and celebration for New Orleans Music; accordingly, these will be donated or sold at lowest or no mark-up. OIOW, find bargains here, plus support New Orleans. Blowing in the Wind [Instrument] - vintage music humor graphic funny for all, but especially for big brass players. "Geek Freaks" - check out the binary code. Peace - Peace on Earth! My peace symbols are popular. My CafePress Store products come from high-quality, name-brand manufacturers (such as Hanes) and are backed by CafePress's excellent customer service, easy return, and money-back guarantee. Music Wearables of all kinds - be sure to look under the Music Graphics you like in the Music Merchandise section to find what you're after. The "Bass-ment" - For the "Low Down"
Stuff for Geeks & Nerds, as well as "Pretty Nerdy", for us girly geeks, also with Sudoku! Music Stuff Page - With the focus on music - just music. (No "& More.") The focus is on music merchandise offerings and links to humor, resources, links, etc. for those who love music, and, especially, for musicians. (Still in development.) Music Stuff Blog instantly updates here. Sign up to receive our monthly Cafepress store newsletter, and get our latest news delivered directly to your inbox!